In THE GREAT LIE (1941) — it’s not that great — Bette Davis and George Brent demonstrate their domestic happiness by making a home movie starring their kid. 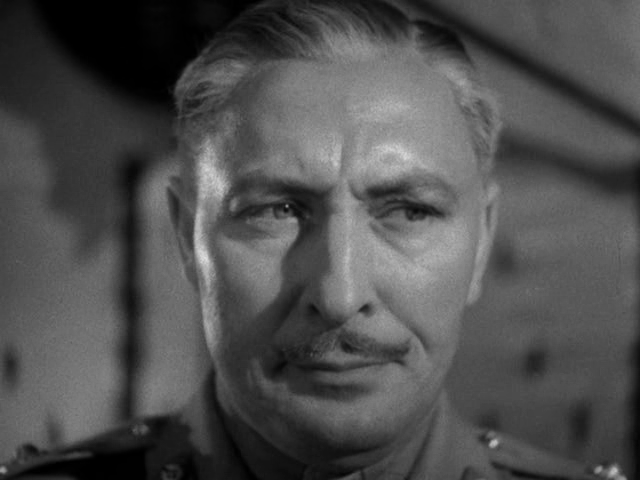 This featurette is a big-budget Hollywood affair, featuring its own intertitles, illustrated in a Norman Z. McLeod manner (i.e. crappy stick-figures), presumably by one parent or the other. It also manages to act as a metanarrative on race in Hollywood, caricaturing Hattie McDaniel in broader terms than the surrounding film itself. The filmmakers attempt to simulate a projector malfunction by having the film weave off its sprockets, and then mysteriously come back with the image reversed. It would take a pretty fancy projector to achieve that, but I suppose it’s possible that George spliced the baby close-up in upside down (the big dope) and it was his rotten splice that caused the sprocket problem. 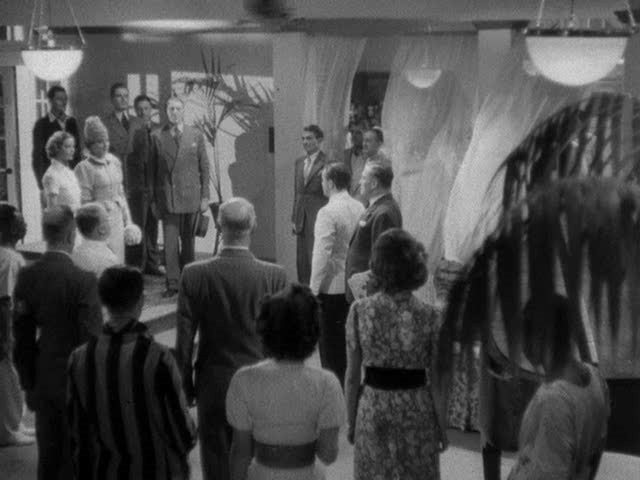 Rather than superimposing the movie afterwards using splitscreen double exposure, director Edmund Goulding and his team have done things for real, or almost: I think the movie is being rear-projected on a translucent screen embedded in the set wall, while the projector operated by Brent is merely a prop, giving a much dimmer light. But having a real image allows Goulding to move the camera, have actors block off part of the screen, etc, so it’s much more convincingly part of the scene than the usual approach. By coincidence, we also watched PERFECT UNDERSTANDING (1933), which has its own home movie sequence, a record of the honeymoon of Gloria Swanson and Laurence Olivier. — a surprise teaming which actually works well. Rather than Gloria doing her grande dame bit (which in fact emerges only occasionally in her silent career, in fleeting gestures like the arm flung over the face in distressed longshot), and Larry trying to keep up with arch tongue movements or putty noses, the two try to outdo each other in naturalism, and it’s a joy seeing them bounce off one another in a loose, casual manner. Thorold Dickinson edited this, and the director was Cyril Gardiner, a former editor who had cut Gloria’s first talkie, 1929’s THE TRESPASSER (1929) — which, come to think of it, was directed by Edmund Goulding. The honeymoon sequence is full of undercranking, dutch tilts, handheld wobble, and other devices intended to suggest amateurism, a far cry from the lavish production values of George & Bette’s polished effort. Upside-down again! But this is used as Olivier’s POV after the home movie shows him drinking a large glass of beer. Larry and Gloria, far more sophisticated characters than George and Bette, are creatively mucking about with the technical possibilities of their cine-camera and film language. Not content with a nostalgic recreation of silent movie-making, they eschew intertitles but go full Georges Melies. The footage is incorporated into the action in a much less ambitious way — we simply see it embedded in a screen within the screen, or rather the mere OUTLINE of such a screen. 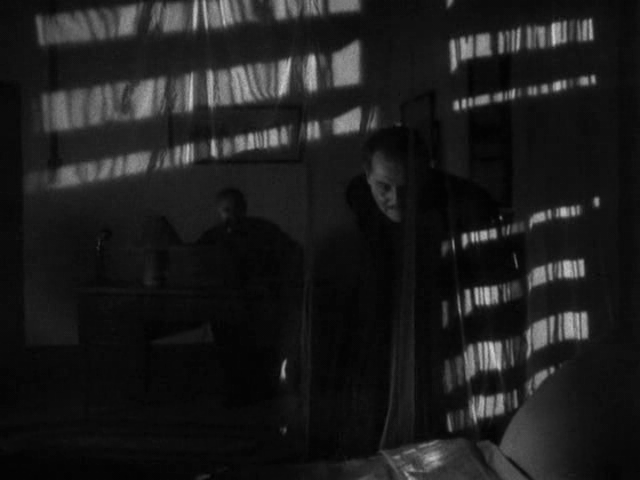 But I like how the reverse angle is shooting straight into the projector beam, a perfect Ozu-like 180º cut.